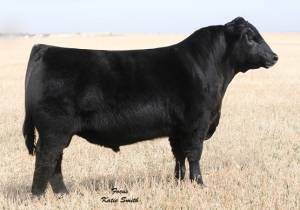 Sure Deal was the $39,000 top seller in the 2012 Bush Angus Bull Sale, and the lead off bull for their Res. Champion Denver Pen. Sure Deal is excellent fronted, super deep sided, really wide backed, and square hipped. With his first calf crop, Sure Deal sired the top selling female in the 2013 Malson Angus Sale for $32,000 valuation. 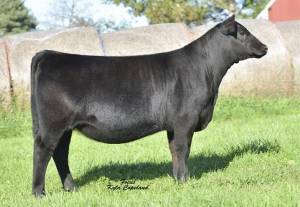 Sure Deal is a heifer bull with huge EPD spread that sires tremendously cool fronted, deep bodied, feminine females, but designs big, stout, ruggedly constructed performance bulls too. Owned by Malson, Bush, Burns, and Siek-Hall.